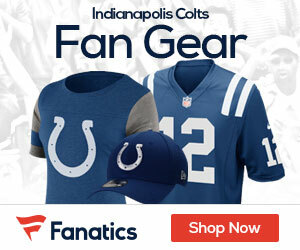 The Colts got bad news today on the injury front, as NFL Network’s Adam Schefter is reporting that starting linebacker Tyjuan Hagler suffered a torn pectoral muscle while lifting weights last week, and will be sidelined at least two months, meaning he will miss training camp and could be out for the Colts opener against the Bears. Hagler started seven regular-season games and then the AFC Divisional Playoff against the San Diego Chargers last season. He finished the season with 54 tackles and one sack. To bad about Haggler, he did a pretty good job filling in for Morris last year. It looks like Cling Sessions or Phillip Wheeler has a chance to earn a starting job at the SAM. Physically I would give the job to wheeler at 247lbs I think he can shed the TE better then the 235lbs Sessions. It is good chance for one of the young guys to get some recognition and playing time.